All images are owned by the artists. 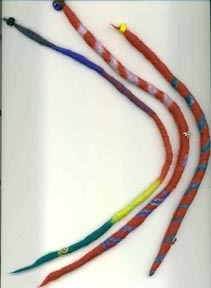 Pictures of the detachable dread locks that Ann McElroy is making and the clips used to attach them to the hair. 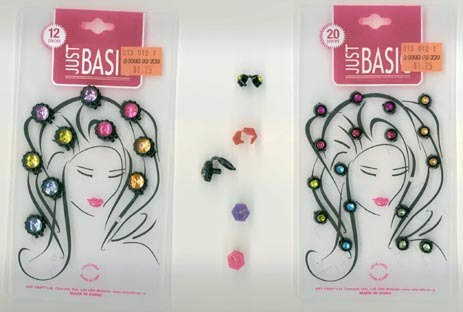 Left: Hair Clips Right: packages of two different types of hair clips. Ann McElroy's Scotty Dog #1. Made by needlefelting Icelandic Tog fiber. 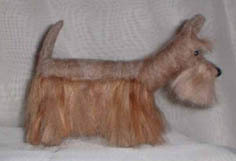 Ann McElroy's Scotty Dog #4. Made by needlefelting Icelandic Tog fiber. 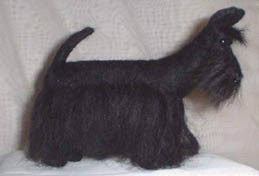 Ann McElroy's Scotty Dog #5. 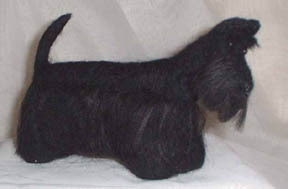 Made by needlefelting Icelandic Tog fiber. 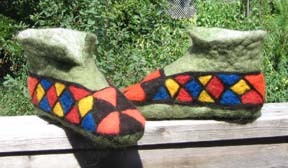 "The booties are made from Icelandic and I needlefelted the design with an Icelandic/Romney cross and Romeldale. Haven't decided yet what to do with the rim, whether to turn them down or leave them as is. 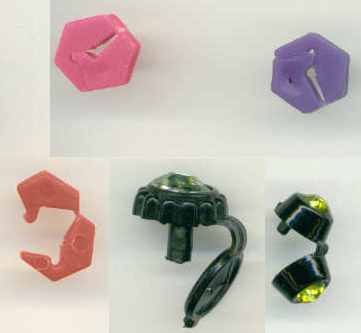 They were fairly easy to make, took about two and a half hours from start to finish. Thought I'd start with a fast felting wool that is hardwearing for my first try, then will try different wools." 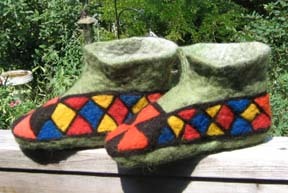 Another view of Maureen's booties. 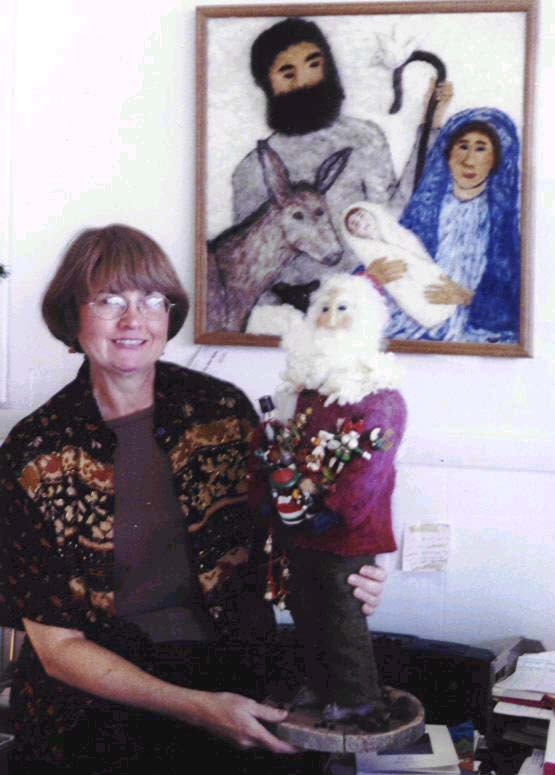 "Father Christmas and Nativity Picture with Me in the foreground."